Mayor Tammy Stempel will kick off National Arbor Day on Saturday, April 27, by planting a white oak tree in the meadow of Gladstone Nature Park. Event organizer Nancy Eichsteadt said the popular Arbor Day native plant sale will return this year, sponsored by Boskey Dell Natives. All proceeds will benefit Friends of Gladstone Nature Park. "The sale includes plants that are specifically grown for success in Willamette Valley landscapes," Eichsteadt said. Many of these plants attract birds and pollinators. From 4-inch pots to 2-gallon containers, there's something beautiful for everyone." 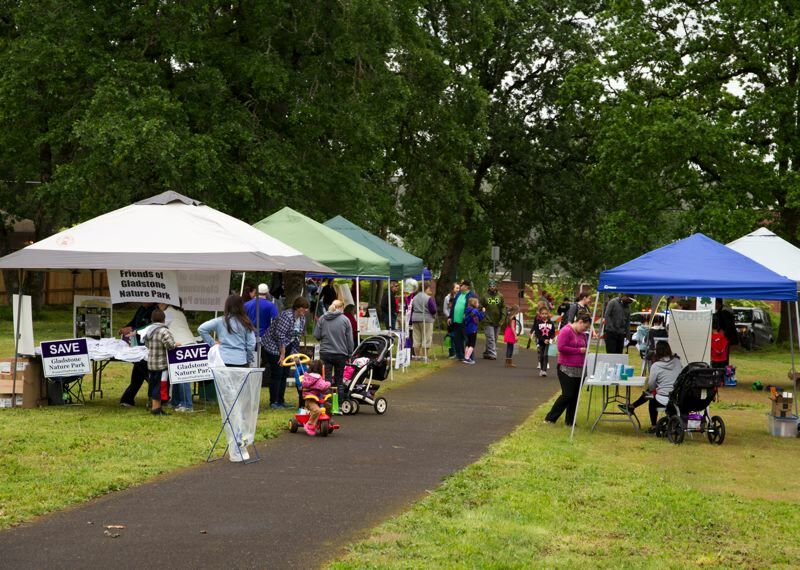 The Gladstone Arbor Day Celebration will include nature activities, live music, food, kids arts and crafts, and fine art. Attendees will have the opportunity to visit live alpacas, recycle used electronics with the Kraxberger Gearheads, and safely dispose of expired prescriptions with the Gladstone Police Department. Glenn Ahrens from Clackamas County's OSU Extension Service will lead a walk of the trails to teach participants about the park's unique habitat. This free annual event is open to the public from 10 a.m.-2 p.m. at 18111 Webster Road in Gladstone (behind Kerns Market). Parking is available at the Jesus Christ of Latter-day Saints Church on Cason Road across from the park.